The following Urbanized Areas, as designated by the U.S. Census Bureau, with a population of 200,000 or more, are considered urban for the purposes of the FY 2019 INFRA grants. 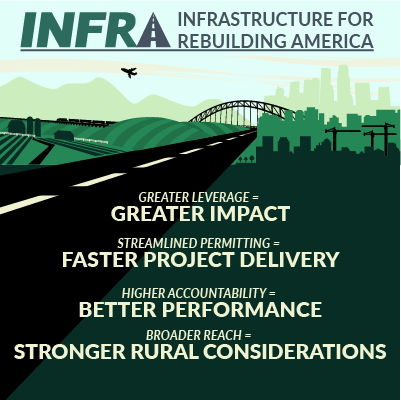 For the purposes of INFRA grants, all other areas, including Urbanized Areas with populations fewer than 200,000, are considered rural. For more information on Urbanized Areas, visit the Census Bureau website at http://www2.census.gov/geo/maps/dc10map/UAUC_RefMap/ua/.